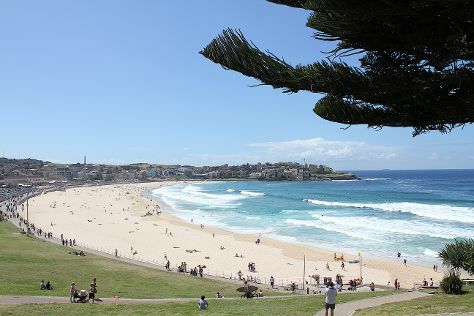 Your itinerary includes some good beach time at Manly Beach and Bondi Beach. Step off the beaten path and head to Canyoning & Rappelling Tours and The Rocks Markets. There's lots more to do: get to know the fascinating history of The Rocks, take a stroll through Darling Harbour, look for gifts at Victoria's Basement, and look for all kinds of wild species at North Head Sanctuary. To see other places to visit, more things to do, traveler tips, and tourist information, use the Sydney travel planner. If you are flying in from Singapore, the closest major airport is Sydney Kingsford Smith International Airport. In February, plan for daily highs up to 31°C, and evening lows to 23°C. Cap off your sightseeing on the 4th (Mon) early enough to travel to Melbourne. Start off your visit on the 5th (Tue): identify plant and animal life at Moonlit Sanctuary Wildlife Conservation Park and then view the masterpieces at Bruno's Art and Sculpture Garden. Keep things going the next day: brush up on your military savvy at Shrine of Remembrance, then enjoy the sand and surf at Brighton Beach, and then explore the world behind art at ArtVo. To find traveler tips, where to stay, ratings, and other tourist information, use the Melbourne trip itinerary maker website . You can fly from Sydney to Melbourne in 3.5 hours. Other options are to do a combination of flight and shuttle; or drive. Traveling from Sydney in March, expect a bit cooler with lows of 15°C in Melbourne. Wrap up your sightseeing by early afternoon on the 7th (Thu) to allow time for travel back home.